Scotland voted to stay in Europe by a substantial majority on Thursday 23rd June 2016, just as the UK as a whole voted to leave the European Union. Scotland’s horoscope has very accurately been speaking of an inexorable momentum towards independence from the time Scotland got her own parliament on 6th May 1999. 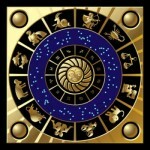 To read my analysis of our country’s horoscope, click HERE. The chart below (click to enlarge) shows in red where the transiting planets, Chiron and Moon’s Nodes were on referendum day, 18.9.14. The progressions are in green. That 18.9.14 referendum, from a high turnout of 84%, produced a decisive 55% Yes vote in favour of Scotland remaining part of the UK, 45% No to Scotland separating from the UK– but the clamour for independence has not abated. And SNP party membership has rocketed in the two years since it was held. However, as we know from the momentous news of 24.6.16, the UK as a whole is heading for the exit door in our relationship with Europe, and our nation is in turmoil, with both Labour and Tory parties in Westminster in utter disarray, and Scots, lead by the embodiment of Eris, the Battle Goddess, Nicola Sturgeon, contemplating yet another possible referendum. Will this happen? And will we become independent? Below are just a few sketchy notes I made in the last couple of days, which have been getting a lot of attention on this blog’s Facebook Page. I thought I’d share them here. The horoscope below shows where the planets and progressions were in 18.9.14. Whatever happens between May 2017 and March or April 2018, Mars in Aries in Scotland ‘s 10th house with the revolutionary, groundbreaking, defiant planet Uranus going over it, would seem to indicate radical change of one kind or another. However the action of planet Uranus is also volatile and unpredictable … so seatbelt fastening, once again, would appear to be in order. Watch this space! Neptune turned retrograde on Monday 13th June 2016, at 12 degrees of its own sign of Pisces, making a second exact square with Saturn in Sagittarius on 18th June. The third and final square in this difficult planetary dance takes place at 10 degrees of their respective signs on 10th September 2016, after which the square gradually loses potency, reaching 10 degrees of separation by the end of 2016. A great battle between order (Saturn) and chaos (Neptune) has been raging since the end of 2015 in particular, as mass migration of peoples – often by sea – fleeing wars and persecution at a level not seen since the end of the Second World War, has challenged European nations’ capacity to cope. With the gradual waning of the turbulent, violent, purgative years of Uranus in Aries square Pluto in Capricorn, at the same time as the waning of Saturn square Neptune, we can only hope for more settled times ahead. At a personal level, I’ve always found Saturn/Neptune aspects especially difficult. Some of us are better than others at dancing on a wobbly board suspended over the long drop into chaos! However, as always when the great planetary archetypes combine, the level at which we engage with the combination through our individual birth charts always carries a challenge to become more self-aware, more constructive in our engagement with the areas of life highlighted. And – let us never forget that even the most difficult planetary combinations can manifest in startlingly positive experiences which can take our breath away. This was certainly my experience on Monday 13th June 2016, the day Neptune turned direct approaching its exact square to Saturn. I have always been susceptible to the seductive beauty of art, sculpture in particular. On that day, I was with my husband in London. Having attended a most enjoyable Astrology Student Conference with two of my students, he and I were intent on a day together taking in some culture. We had booked tickets for an exhibition at the British Museum that morning. That exhibition turned out to be the most atmospheric, beautiful, awe-inspiring manifestation of the Saturn/Neptune combination I could possibly have imagined. About 1,300 years ago two Egyptian cities, Thonis-Heracleion and Canopus, sank into the Mediterranean Sea. They’re still there, perfectly preserved. (As yet, only 5% of the vast undersea sites have been excavated.) They were inhabited not only by native Egyptians but also Greeks and Romans, and eventually Byzantine Christians. The cities were known from texts — Egyptian decrees, mythology and the writings of Herodotus — but no one had actually seen them. Then, two decades ago, underwater archaeologists began bringing up objects and artworks from the seabed. Some are enormous and weigh several tons. They included massive representations of human-shaped gods, deities in the form of animals, towering kings and queens, giant bearded heads of Greek gods, enormous pharaoh heads, black stone slabs with intensely intricate lines of hieroglyphs and stone coffins. There were also domestic objects, coins, jewellery, incense burners and votive offerings. A selection is now part of this, the British Museum’s latest exhibition, which explores the complicated, rich culture over many centuries of the two cities. Click HERE to see a brilliant video clip which gives at least some impression of the atmosphere of the exhibition, and the sheer scale of the underwater archaeology. But our Neptune day wasn’t yet over! After an enjoyable visit to London’s wonderful Astrology Shop in Covent Garden run by the redoubtable Barry Street, we dropped by the National Gallery: to visit some favourite paintings, and just to marvel at the sheer scale and beauty of the building. Wandering with a truly international throng of spellbound art-lovers through room after room stocked with eight hundred years of amazing art, we were once again entranced. 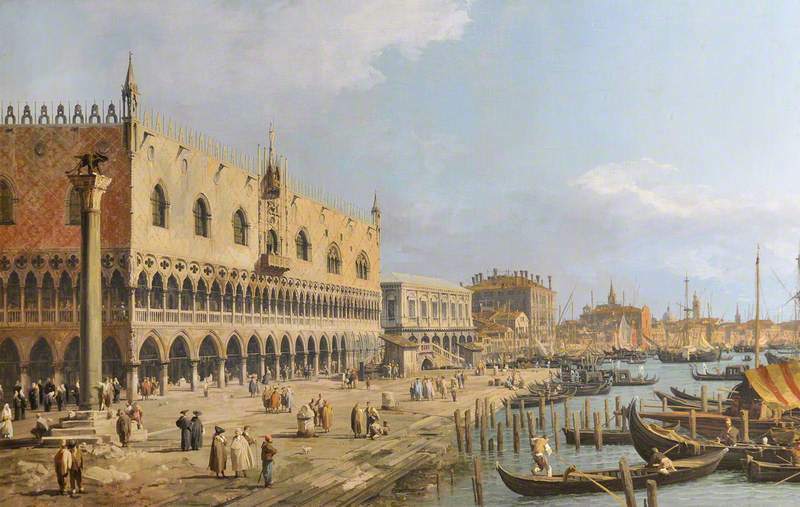 Botticelli, Leonardo, Rembrandt, Canaletto, El Greco, Rubens, Vermeer, Van Gogh, Monet, Turner, Picasso…all our favourites and thousands more were there. Not reproductions: THE REAL THING. We strolled back to our hotel, heads and hearts full of gratitude for being able to share such wonderful art and sculpture with so many of our fellow citizens from all over the world. Neptune knows no boundaries of race, colour, creed – or artistic gifts. The day had been wonderful:a profound reminder that no matter how much ugliness, cruelty, destruction and evil there certainly is in the world, no-one can crush from the human soul our longing to connect with the Divine through meditation, prayer, music and all the Arts – “…beauty is truth, truth beauty,…” as poet John Keats put it so memorably. 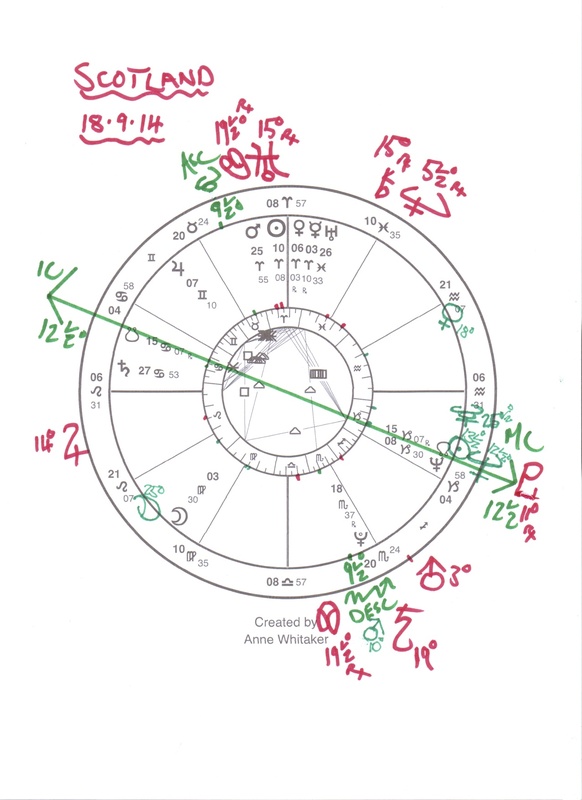 Well, folks, transiting Mars is retrograding over my Scorpio IC/South Node, transiting Saturn retro squares my Ascendant/Descendant whilst transiting Neptune hovers there. Jupiter in Virgo transiting the First House, opposing one of these and squaring the other, is persecuting me with billowings of detail and admin which I can’t be bothered doing…I have a series of posts on the Nodes lined up, waiting to be edited, but can’t seem to get around to it. In short, I am being incredibly, uncharacteristically, lackadaisical. Anyone else out there feeling like this? Don’t all of you rush to tell me at once. On second thoughts, my guess is, you can’t be bothered. But never mind…Mars goes direct at the end of June, catching up with himself by 22nd August 2016. Saturn goes direct on 13th August, catching up with where HE left off by 20th November 2016. That interminable Saturn/Neptune square will make its last exact point on 10th September 2016 and start to wane thereafter. Anyway, I thought I’d keep you informed and entertained by a fellow astrologer who, if affected by the above, is not in nearly as bad a state as I am! On the day of Muhammad Ali’s passing last week, I asked my husband, who is not an astrologer, what he thought was The Greatest’s Ascendant. “Leo – absolutely!” he replied. How right he was. Here, whilst I get around to eventually regaining my bearings ( by next week, hopefully!) is Christina at The Oxford Astrologer‘s fine analysis of the incomparable Ali’s horoscope. I’m sure you will enjoy and appreciate it.